Your valued input is one of the most important things you can do for us to improve our services. We’d love to hear any feedback or comments you have of our services. Please complete the online form below and we will get in touch as soon as possible. 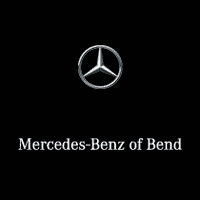 As a luxury brand with an expectation of prestige, Mercedes-Benz of Bend is dedicated to treating every one of our customers like family. We have a reputation to uphold and we spend every day exceeding our own personal standards and working towards you complete car buying satisfaction. We’ll work hard to ensure your car buying experience is a satisfying and memorable one. Our family-owned style of business shows with our care and dedication to our personnel as well as our car buyers, but we are always striving to improve on ourselves and our services. If you need help with any part of the buying process, please don’t hesitate to ask us. Our customer service representatives will be happy to assist you in any way. Whether through email, phone or in person, we’re here to help you get the customer service you deserve. At Kendall Auto Group, every car sale, every service, and every new customer is an opportunity for us to start something great.